Purchasing a used car has it’s benefits – particularly if you have bad credit. People with poor credit histories typically pay higher interest rates which result in higher payments. One way of keeping your monthly payments affordable is to finance less money and this can be accomplished by purchasing a used car rather than new. The interest rate charged on used car loans are usually slightly higher but if you have bad credit, chances are you’re going to pay more anyway. As an example, the payment on a $15,000 loan at 15% interest over 5 years is $357.00 per month. The payment on a $25,000 loan at 5% interest over 5 years is $472.00 per month – a savings of over $100.00 monthly. Learn why purchasing a used car might make sense if you have bad credit. Used car loans cost less in the long run and could save you thousands of dollars. Qualifying for a used car loan is also easier since the amount the lender is loaning is less. In fact, it is estimated that roughly 90% of the cars purchased by people with poor credit are used cars. Getting approved for bad credit used car loans might be a little easier than a new car. It is often easier to find loans for used cars – especially if you’re on a tight budget and you need an affordable payment. Used cars today are built with more quality and as long as you choose the right make and model, will last for years. For example, Hondas and Toyotas that are only a few years old will probably last for thousands of miles. Auto finance companies are usually willing to finance late model used cars with low mileage – especially a brand that has proven quality. Used cars are also going to be quite a bit cheaper than a brand new vehicle. Get Your Auto Financing Today! Our auto finance platform is integrated with a network of direct lenders as well as auto dealerships that are willing to work with people who have experienced credit difficulties. Once you complete the secure form on our website, your information is sent to our network of auto finance companies that offer new and used car loans. We’ve done the hard work of finding all of these lenders for you. The only thing you need to do is spend a few minutes providing your request. Our lenders and dealers will contact you with the details of your car loan once you’re approved. It’s fast and easy, just the way finding auto financing should be. BlueSky Auto Finance can help you get into a high quality used vehicle today. 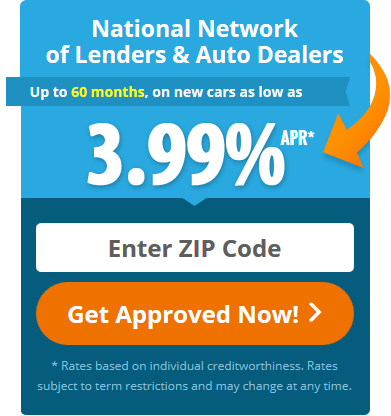 Our network of lenders offers one of the best opportunities for bad credit used car loans. Get Started now, you could be driving your new or used car in less than 24 hours.